In the Euro-Western intellectual, or minority world, tradition death is often framed as something to avoid in the creation of “optimal” childhoods. Foregrounding a West Coast Canadian early childhood center’s unexpected encounter with a dying rat, this chapter looks at the role ethical frameworks play in shaping uneasy more-than-human engagements to challenge taken-for-granted assumptions about animal death in urban early childhoods and grapple with the limits of ethical engagement. 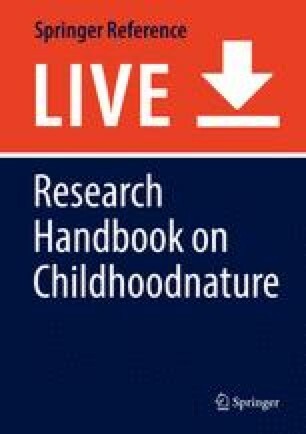 In it, understandings of childhood and nature are situated within the schism of romanticized narratives and challenges of a so-called new Anthropocene era, to reconfigure encounters at the intersection of life and death as generative in their ability to destabilize the precepts of a humancentric worldview that orders urban spaces and relations in particular ways. Using a hybrid multispecies ethnographic and common worlding approach, this chapter explores possibilities for cultivating new modes of attention to promote expansive approaches to thinking and doing in early learning pedagogy and practice. How might we resist shoring up colonial and other universalizing narratives when death emerges through everyday encounter? What stories help us matter differently as we continue to world with others in this time of rapid change? This chapter proposes tending to multispecies relations, including those considered uncomfortable, as deeply entangled and consequential to open up new possibilities for ethical responses to living and dying together in these troubling times.